This story is one of a series of features written during CIMMYT’s 50th anniversary year to highlight significant advancements in maize and wheat research between 1966 and 2016. It has been republished with the permission of CIMMYT. HARARE, Zimbabwe (CIMMYT) — When practiced unsustainably, agriculture has led to environmental degradation and famine, which have plagued civilizations through the centuries. Innovations such as irrigation or the plow (since circa 6,000 and 3,000 BC) increased productivity, but often deteriorated long-term soil fertility through erosion and other forms of degradation. We are now facing historically unprecedented challenges to food security. We must increase food production by70 percent to feed nine billion people by 2050, without damaging our finite and often already degraded natural resource base. In addition, farmers face more frequent drought and water scarcity, which makes it increasingly difficult to grow crops, and extreme weather events such as the 2015-2016 El Niño, which has already caused large-scale crop failures and soaring maize prices in southern Africa. Conservation agriculture (CA) practices based on the principles of minimal soil disturbance, permanent soil cover and crop rotation are helping farmers combat growing environmental challenges by maintaining and boosting yields, while protecting the environment and increasing profits for smallholders globally. When CA practices are coupled with water-use efficient and drought tolerant varieties, the benefits are even greater. “CA approaches can mean the difference between farmers being able to feed their families or having to starve,” says Christian Thierfelder, senior cropping systems agronomist at the International Maize and Wheat Improvement Center (CIMMYT), regarding the recent El Niño – the strongest on record – in southern Africa. To date, approximately 10 million people in southern Africa are dependent on food aid and an estimated 50 million people are projected to be affected, pushing them to the brink of starvation. Sustainable intensification of agricultural systems and practices such as CA have become a necessity for farmers in Africa, where a combination of climate change and unsustainable agricultural practices are undermining land and water resources. This, coupled with an exploding population, makes increasing productivity while conserving the environment absolutely urgent. Based on its experience in Latin America, which began in the early 1990s, CIMMYT started its first CA project in Africa in 2004, targeting Malawi, Mozambique, Tanzania, Zambia and Zimbabwe. This initial work focused on understanding CA systems in the context of farmers and their environmental conditions and was funded by the German government and the International Fund for Agriculture Development. Its aim was to facilitate the adoption of CA systems by smallholder farmers. This culminated in the establishment in 2009 of a large PAN-African project on Sustainable Intensification of Maize-Legume Systems in Eastern and Southern Africa (SIMLESA). Since then, CIMMYT has leveraged its large network of partners to scale out CA. Between 2010 and 2015, CIMMYT, supported by a large group of donors including the Australian Centre for International Agricultural Research, the International Fund for Agricultural Development, the United States Agency for International Development and the Food and Agriculture Organization of the United Nations, helped over 173,000 farming households in the region adopt sustainable intensification practices. Today, CA research at CIMMYT in Africa is increasingly focused on adaptation to the changing climate, which is leading to more erratic rainfall, increased heat stress and seasonal dry spells, in an effort to increase the use of climate-resilient cropping systems. CIMMYT’s work on CA in the region has shown that the practice can significantly increase farmers’ resilience to climate variability and change. Combining sustainable intensification practices with improved varieties has proved to increase productivity by 30-60 percent and income by 40-100 percent under drought conditions. Despite CA’s successes, many smallholder farmers in developing countries still lack knowledge and understanding of sustainable agricultural practices and often revert to traditional farming practices that are labor-intensive and environmentally damaging. Also, CA systems are difficult to scale out if favorable policies and markets are not in place. Mineral fertilizer, for example, is a basic agricultural input, but its adoption and use remain limited in sub-Saharan Africa. Farmers apply less than 10 kilograms per hectare on average due mainly to poor distribution networks (especially in rural areas) and high prices that are 3-5 times those in Europe. Lack of knowledge and training on how to use mineral fertilizer and other agricultural inputs renders them ineffective. New discoveries in agriculture and breeding must be adaptable and transferable to smallholder farmers. This means improving physical distribution of technologies, training, knowledge and information sharing, credit availability and creating enabling environments for growth. Just before passing away in September 2009, world-renowned agricultural scientist Norman Borlaug famously implored the world to “take it to the farmer” – a call to action we must follow if we are to sustainably feed the world by 2050. 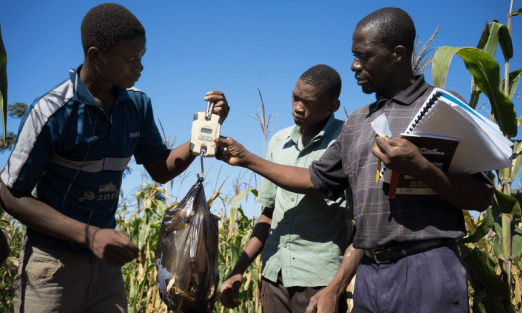 Without a basic understanding of good agricultural practices, most smallholder farmers will not be able to grow enough crops to move past subsistence farming. 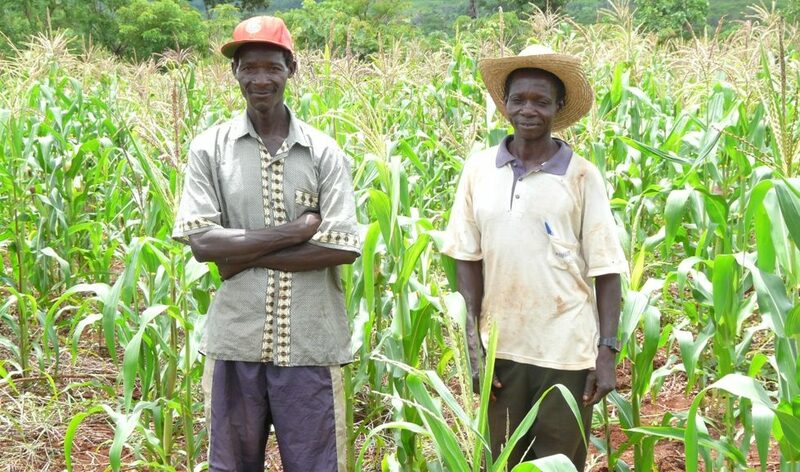 This blog post by Christian Thierfelder and Johnson Siamachira was originally published on the CIMMYT Anniversary Blog 50. CIMMYT is a Partner in GFAR. For more information on the Partners in GFAR, and to become a Partner, visit the GFAR website! Reblogged this on Caesar Walter Tumwesigye Owak.